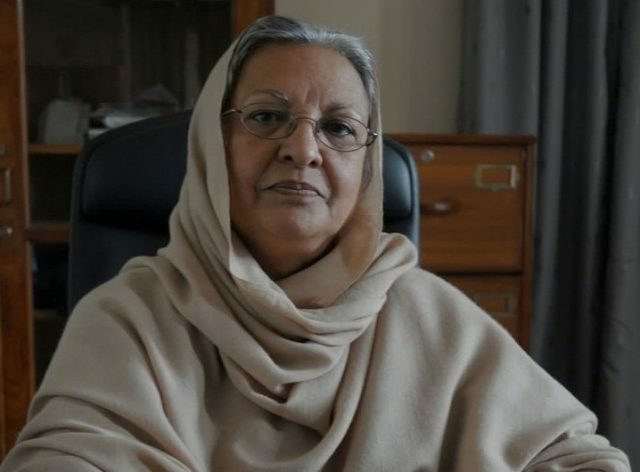 A Christian woman has been appointed the interim minister for religious affairs in Khyber-Pakhtunkhwa – a first in the province’s history. Earlier, two men from minority groups, Sardar Soran Singh and Bihari Lal, held the minority affairs portfolio in previous governments. Dr Sarah Safdar is the first woman from a minority group to become a minister in KP – and that, too, with the religious affairs portfolio. She also holds the social welfare and education portfolios in the interim cabinet. Dr Sarah was born on September 22, 1951, in Lahore to a Christian family. She did her Master’s in Social Sciences from Punjab University. She moved to Peshawar in 1976 when she married Safdar Masih. In 1997, Dr Sarah began teaching at Peshawar University. She did her PhD in 1981 and researched on the Mohmand tribe. Her paper was titled ‘Pakhtun tribal women marriages and their inheritance’.